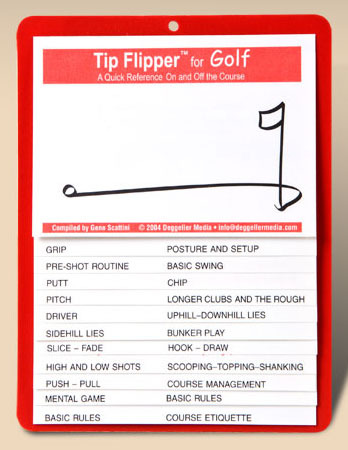 A Quick Reference on and off the course [has magnet on back to put on refrigerator or file cabinet]. A concise listing of rules and "reminders" for all skill levels. -Basic Swing - think "Tiger"
-Putting - they are not all "gimmies"
-The "rough" - best to avoid! -Hook, better yet, a "Draw"